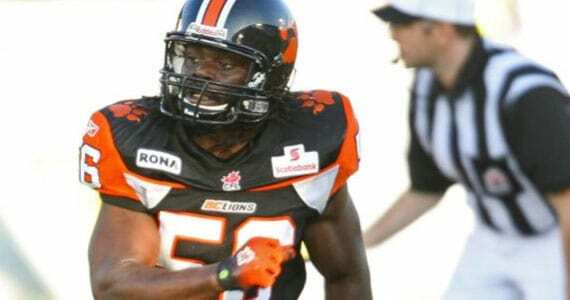 The BC Lions will be looking for a new middle linebacker in 2012, as the agent for Solomon Elimimian announced on Twitter Wednesday that his client had signed with the Minnesota Vikings. Lowell Ullrich of The Province reported that the Lions may have had the chance to make an offer on Wednesday to the all-star linebacker but no offer was made. If that was the case, one has to wonder how good the NFL offers were. According to the Ullrich report, the Lions say no official request for an offer was made. The off-season loss is the second in as many seasons to the Vikings, who plucked wide receiver Emmanuel Arceneaux from the black and orange last year. Elimimian recorded 175 tackles and 9 sacks over his two seasons with the Lions and in 2010 was named the leagues defensive player of the year.